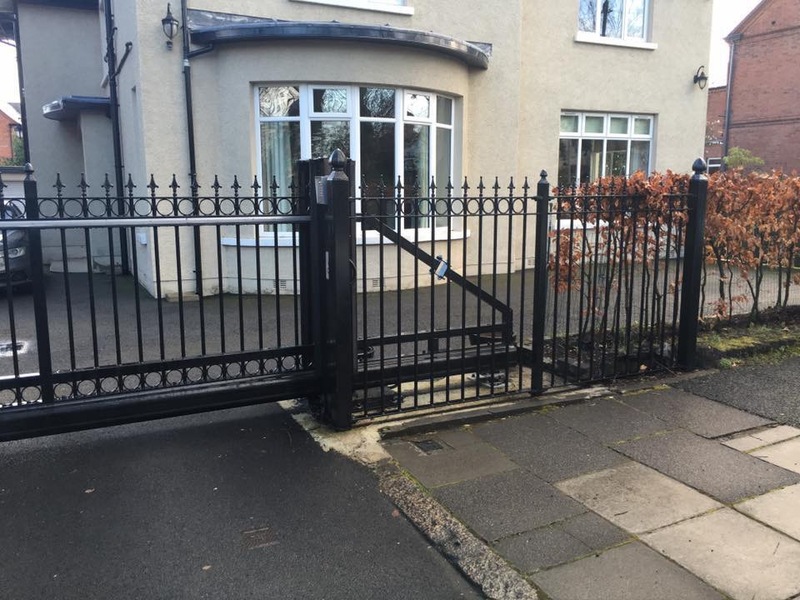 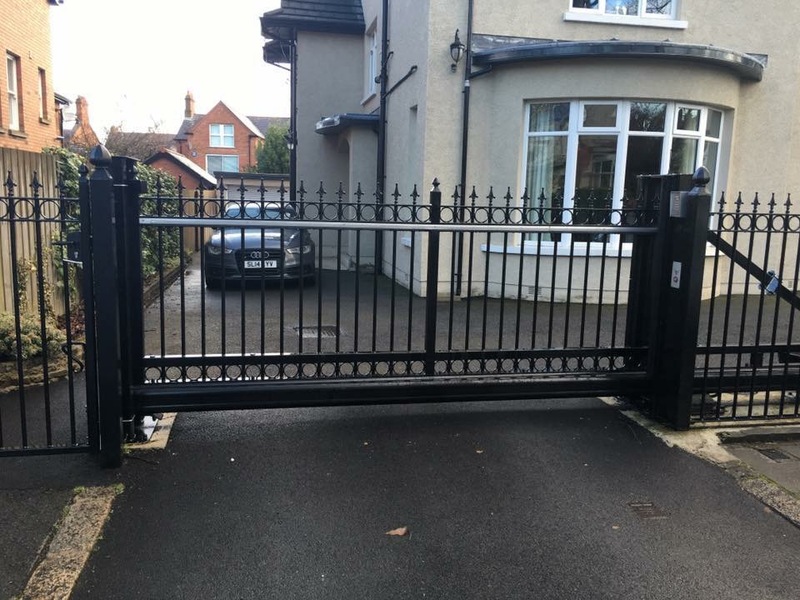 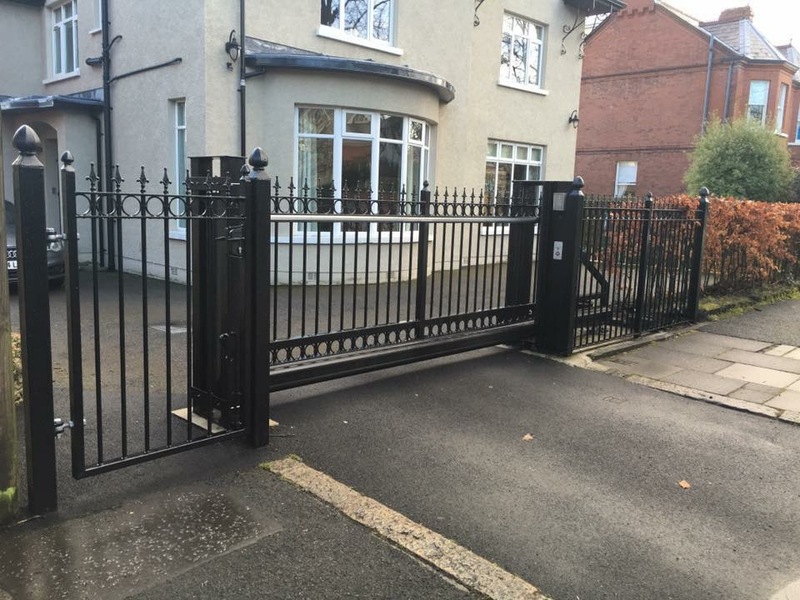 New Ornate “Inova Basis ” Cantilever Sliding Gate, Pedestrian gate with Locinox lock and Ornate Railings fitted for customer in Belfast. 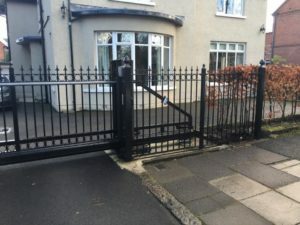 All Galvanised and Powder Coated Black. 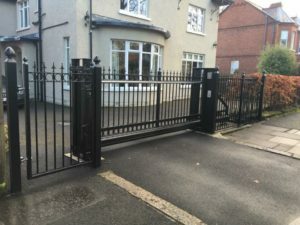 Digital Keypad and Remote control for operation of Gate.